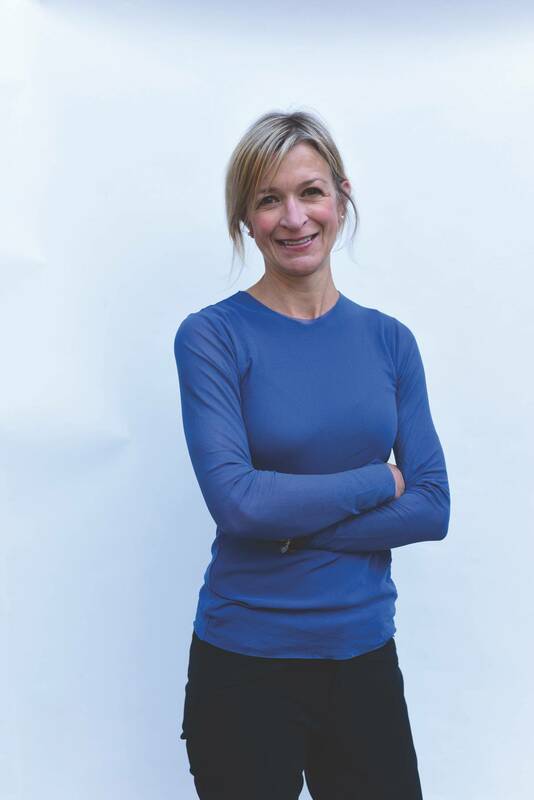 Jill Zande, President and Executive Director at MATE Inspiration for Innovation (MATE II) was featured in last month’s MTR 100 as a top 10 ocean influencer. This month in MTR we present our full interview with Zande on the importance of attracting the next generation to a career in the oceans. How did you come to a career at MATE? As a research associate at the Dauphin Island Sea Lab (DISL), I thought that the only next step for me career-wise was to go back to graduate school, get a Ph.D., have a lab and take on graduate students. I saw the academic, Ph.D. path as my only realistic option; but I also knew down deep that it wasn’t for me. I started exploring the idea of making a career switch into marine education, which included looking at DISL’s Discovery Hall and the fantastic education programs it offers. Then my former major professor at Louisiana State University told me about MATE. He had just returned from Monterey where he participated in the MATE Forum, which was hosted at MBARI. This was a gathering of marine-related industry, academic, and government professionals and was designed to discuss and lay out the critical issues facing marine technical education. The focus was on technician education; providing students with practical, hands-on learning. I realized that was what was missing from my education – the hands-on, applied piece. He also said that MATE was just getting started with funding from the National Science Foundation and was looking to hire people. I had always wanted to head to Monterey – who wouldn’t, with MBARI, the Aquarium, and the host of so many other marine-related institutions and organizations around the bay. I applied for the outreach program coordinator position and was hired, which was in August of 1998, so I’m just about to celebrate my 20th anniversary with MATE. When you say MATE to most in this industry, the MATE robotics competition, I would argue, is the first thing to come to mind. Can you provide a history on your signature competition and its growth? In the early days of MATE we conducted a number of workforce studies to help us identify the latest trends, occupations that needed well-educated and capable people, and “well-educated and capable” meant in terms of knowledge and skill sets. ROV technicians emerged as an occupation in need of skilled individuals. At the same time we were researching this, two synergistic things happened: we found the little yellow book (How to Build Your Own Underwater Robot and Other Wet Projects) and the Marine Technology Society ROV Committee came to us looking for help. They recognized the need for ROV technicians and how those currently applying for the positions didn’t seem to have the right skills. They also recognized the lack of awareness of the industry and its occupations; they gave the example that they had thousands of dollars of scholarships to give away, yet very few students were applying. They wanted to work with us to better connect with students, raise awareness of careers opportunities within the industry, and create a program that would encourage and help students to develop the necessary skills. So, literally, on the back of a napkin, the idea for the ROV competition was born. We needed someone to take the lead on this; I raised my hand. MATE By the Numbers: Can you help provide size and shape to the organization and its impact in numbers? The MATE competition is a labor of love. With only two full-time employees, some part-time help, and more than 1,600 volunteers, it showcases the amount of pride and passion that all those involved have for the program. Here at this year’s international, 100 volunteers including 16 alumni will be lending a hand, as will several parents of alumni. The event has become a family affair! It’s difficult to estimate the value of our volunteers’ time and technical expertise, but we gave it a try! Each year, all total, the competition benefits from more than $1 million in volunteer hours. Volunteers not only support MATE events as judges, some also run regional programs, organizing teacher and student workshops, outreach to students and putting together competition events. Discuss this year’s ROV competition, and put in perspective how it has grown and evolved. The MATE competition has grown significantly. It’s hard to believe that the MATE international competition was first held in 2002 with just 22 teams from 2 countries – those being the United States and Canada. Now there are 31 regional events that take place each year. And that number will only grow with the addition of a regional in Tennessee (and possibly elsewhere!) in 2019. For the 2018 competition season…starting in April, nearly 8,000 students representing 715 teams from across the country and around the world competed in regional events or submitted video demonstrations. Nearly 800 students and 100 mentors qualified and participated in the international competition. 65 teams from 19 countries and 20 U.S. states tackled tasks that highlighted Jet City: Aircraft, Earthquakes, and Energy, which gave a nod to the location as this year’s competition theme. The competition has certainly evolved over the years – and not just in terms of numbers. About five years ago we added a fourth competition level or class called NAVIGATOR (the progress is now SCOUT – NAVIGATOR – RANGER – EXPLORER). We did this because, in 2008, we recognized that middle schools were the fastest growing population of competition teams. We certainly hadn’t tried to proactively reach that population. As a matter of fact, our MATE grant focused on community colleges and linkages between high schools and 4-year-universities. But, with all of this interest, we recognized that we had an opportunity to make an impact at a level at which we tend to lose students in STEM. So, we went back to the National Science Foundation and got our first ITEST (Innovative Technology Experiences for Students and Teachers) grant. This provided us the resources to focus on teacher workshops, student outreach, curriculum, and ROV kits to specifically enable and support middle schools (and even elementary schools) to participate. Is that the only way it has evolved? Another way that we’ve evolved is in our approach. We had always appreciated that the competition encouraged creative thinking, innovation, and the development of project management and teamwork skills. But back in 2011 we had a bit of sea change; we were very deliberate in requiring students to transform their teams into companies – to “think like entrepreneurs” – and structure themselves that way. Who would be their CEO? Who would be their CFO? Who would head up R&D? We wanted students to get an appreciation of business practices as well as how their specific roles fit into the bigger picture of a company structure. To keep in line with the business acumen, we laid out our mission scenarios as an RFP. The student-lead, mock companies were to respond to this RFP by designing and building an ROV that could meet the specified requirements. In addition to the ROV, other required “products” included technical documentation, an oral presentation and a marketing (poster) display. We often speak of grooming ‘the next generation.’ It seems that you have already answered this question, but in a phrase, how is MATE helping in this regard? That’s what the MATE competition is all about! The competition challenges students to learn and creatively apply STEM skills to solve real-world problems in a way that strengthens their critical thinking, collaboration, entrepreneurship and innovation, and helps to prepare them for the workforce. The competition tasks K-12, community college, and university students from all over the world to tackle missions based on scenarios from the workplace. 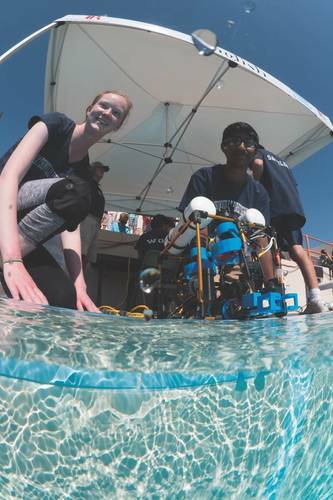 The competition’s class structure of beginner, beginner-intermediate, intermediate, and advanced complements the educational pipeline by providing students with the opportunity to build upon their skills as they engineer increasingly more complex ROVs for increasingly more complex mission tasks. The MATE competition requires students to think of themselves as entrepreneurs and transform their teams into companies that manufacture, market and sell “products.” In addition to engineering their ROVs, the students prepare technical reports, poster displays, and presentations that are delivered to working professionals who serve as competition judges.The MATE competition encourages students to work together, network, and learn from technical professionals and each other. MATE’s philosophy is that collaborative learning experiences best simulate the real world and will serve students – and their future employers – well in the workplace. From your time with the organization, of what are you most proud/from what do you get the greatest sense of satisfaction? Each year I am amazed at the innovation and entrepreneurship of the student teams. They come up with some creative and sophisticated solutions. I think that the teams are equally as amazed at the variety of solutions that they see when they come to the event. What also gives me a great deal satisfaction is the support and dedication of our volunteers. We have people like Marty Klein, who has volunteered since the very beginning and travels each year, no matter where we are, to be a part of the international competition. We have working professionals who make the competition a regularly scheduled part of their year, building their vacation around it and, in some cases, paying out of their own pocket to get there. We also have professionals who each year judge the teams’ technical reports yet never have the opportunity to attend the competition and meet these teams in person. And I have to say it is so rewarding (and humbling) to look out over the sea of students, teachers, mentors, parents, and volunteers during the opening and closing award ceremonies. To see how the competition has grown and brought together such a diversity of people and cultures, built a global community of learners, inspired career paths, opened up opportunities, and changed lives. I’m honored to play a small part in helping to “groom the next generation” and inspire and motivate brilliant young minds to tackle these challenges. Looking ahead, what is your biggest challenge? I used to say managing the explosive growth (we went from 1 regional in 2002 to 31 in 2018), but now I say funding! Especially as we make the transition from a grant-funded center to a non-profit with a diverse – and hopefully growing – revenue stream. You may know that the MATE Center was established with funds from the National Science Foundation (NSF), and continues to receive funds from NSF today. The Center has been around since 1997 as part of Monterey Peninsula College (MPC) in Monterey, Calif.
We recently launched MATE Inspiration for Innovation or MATE II, a 501(c)(3) non-profit organization that was created to support the competition. MATE II’s goal is to give the competition a life beyond federal grant funding and allow the program to continue well into the future. We want to keep the competition going and the dream alive for students who are “inspired to innovate” and tackle the challenges that our global community is facing today – and tomorrow. MATE II has an MOU in place with MPC, so our address hasn’t changed – and my office hasn’t gotten any bigger. We have a fantastic and very active Board of Directors that includes Justin Manley, Fritz Stahr, and Debbi Kill along with the MATE Center PI Deidre Sullivan. I’m excited about this “new chapter” in my career and where it will take us with the long-term sustainability of the MATE competition. I look forward to continuing to work with the marine technology community – and beyond – to keep the competition going and growing and continuing to have a positive and life-changing impact on students and on the future global workforce.